The Ultimate Fighting Championship returns to FOX for it’s penultimate event of the year live from Bell MTS Place in Winnipeg, Canada. 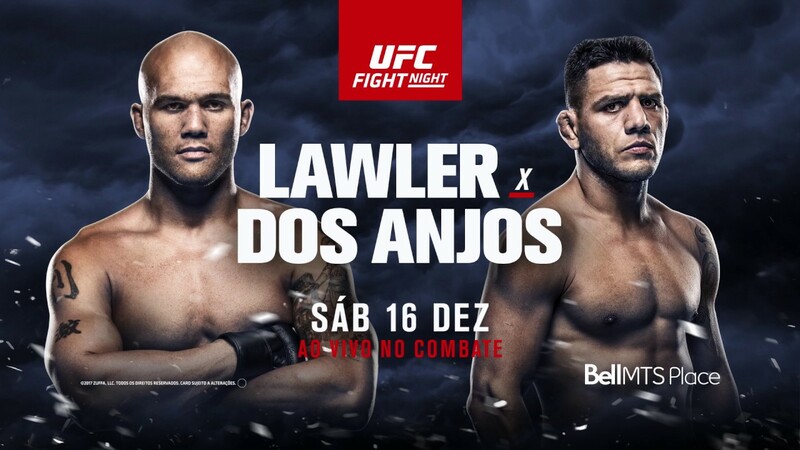 The event will be headlined by a blockbuster fight in the welterweight division between former champion, Robbie Lawler, and former lightweight champion, Rafael Dos Anjos. UFC president, Dana White, confirmed in October that the winner of this main event would get the next shot at Tyron Woodley’s welterweight title. 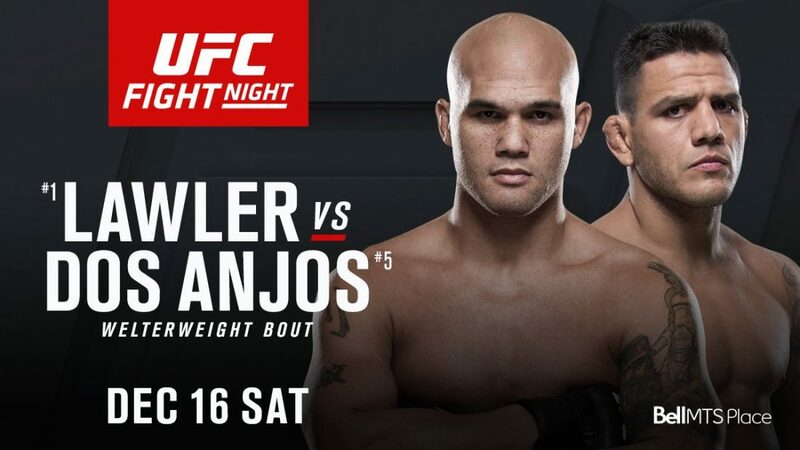 Lawler fights for only the second time since losing the belt to Woodley back at UFC 201. 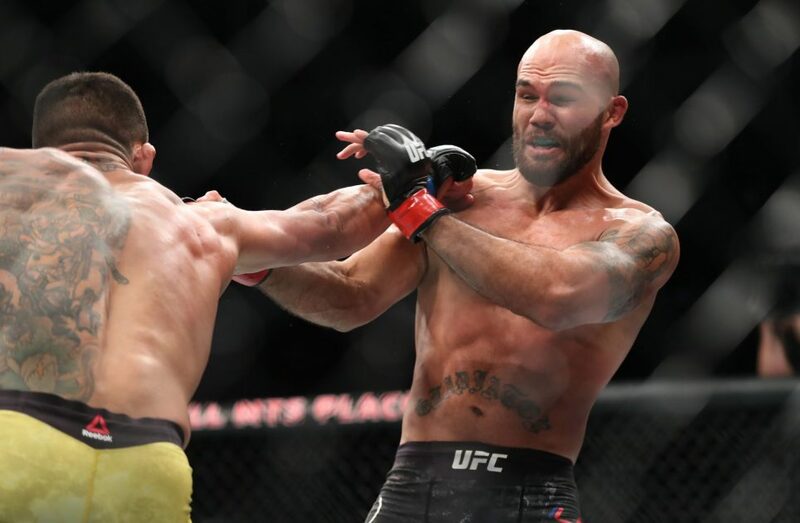 ‘Ruthless’ took a unanimous decision victory over Donald Cerrone at UFC 214 after taking some time off following brutal wars with Rory McDonald and Carlos Condit. After leaving a death-defying weight cut to lightweight behind, Dos Anjos fights at 170lbs for only the third time. He beat Tarec Saffiedine in his welterweight debut before earning a submission of the night bonus at UFC 215 when he submitted Neil Magny in the first round; despite a 10-inch reach disadvantage. Dos Anjos looks re-energised at the higher weight class and looks a real threat in the division. Lawler is his toughest test yet with ferocious knockout power and a relentless offensive game – similar to his opponent. He will hold the reach advantage meaning Dos Anjos would be wise to take the fight to the ground but Lawler is not easy to take down. Saturday’s main event can’t be missed, and it’s a tough fight to predict. Lawler is now 35-years-old, and his many wars will have taken their toll. If Dos Anjos can get the fight to the ground, I can see him taking rounds and winning via decision. Originally scheduled to face Jose Aldo, Ricardo Lamas will return to action to meet the unranked Josh Emmett in the co-main event of the evening. The fight could look like a mismatch on paper, but Emmett is no pushover and will push Lamas to the limit. Training at Team Alpha Male, Emmett has trained with some of the best smaller guys in the UFC including Urijah Faber, Chad Mendes, Cody Garbrant and TJ Dillashaw. He has nothing to lose in taking this fight and knows a win will propel him into the featherweight rankings. The pressure is on Lamas as he will be a heavy favourite entering the cage. Since losing to reigning champion, Max Holloway, ‘The Bully’ won finished his last two fights; submitting Charles Oliveira before knocking out James Knight in the first round. Both men are excellent grapplers with Lamas holding the advantage in the striking. Despite being the underdog, I think Emmett will grind out a decision victory. Another bout that cannot be missed is a welterweight clash between Santiago Ponzinibbio and Mike Perry – one of the most popular fights on the UFC roster. Since losing to Lorenz Larkin back in 2015, Ponzinibbio has racked up five straight wins and finds himself ranked as the tenth best welterweight in the world. His last bout ended in controversy as he knocked out Gunnar Nelson following multiple eye pokes which went unpunished. Despite holding a Brazilian jiu-jitsu black belt, ‘Gente Boa’ has not yet leant on his grappling skills in the octagon thus far. Perry also prefers to strike having never completed a takedown in the UFC. 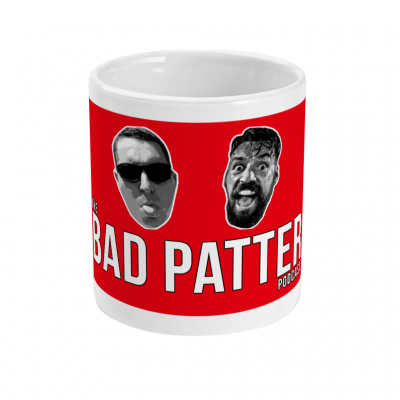 Both men will come out swinging and look for the knockout. The longer the fight goes on, the better chance Perry could have despite being the underdog, but he must weather the early storm to do so. I think Ponzinibbio will connect in the first round and sent Perry to sleep. The first fight on the main card takes place in the light heavyweight division between veteran Glover Teixeira and hot prospect Misha Cirkunov. With Anthony Johnson retiring and another suspension that could spell the end of MMA for Jon Jones, the light heavyweight division is sorely lacking contenders for Daniel Cormier’s title. Both men are coming off knockout losses on the same fight card – Teixeira losing to Alexander Gustafsson and Cirkunov falling to Volkan Oezdemir who will fight for the title at UFC 220. Cirkunov’s loss to Oezdemir snapped an eight-fight win streak, and he will be eager to avenge his loss in front of his adopted country’s fans. The Austrian was considered one of the best rising stars in the division before the loss and will hope to return to winning ways in Winnipeg. Teixeira knows this could be his last run at the UFC title as at 38-years-old, time could be running out to regain the belt. He must string together a series of knockouts to have any chance of another shot. It is a must-win bout for Cirkunov who will move into title contention with a win. Beating Teixeira would probably set up a title eliminator with Gustafsson in the near future. I’m backing him to do so. What are your predictions for UFC on Fox 26? Comment below! This is the most retarted prediction to the date from this site and that is saying something. Get it together.